With Independence Day sneaking up on us faster than you can say “red, white and blue,” it’s time to think about how to celebrate our great nation’s birthday in style. Instead of simply dreaming about “America the Beautiful” and purple mountain majesties, turn dreams into reality with an Alaska vacation. 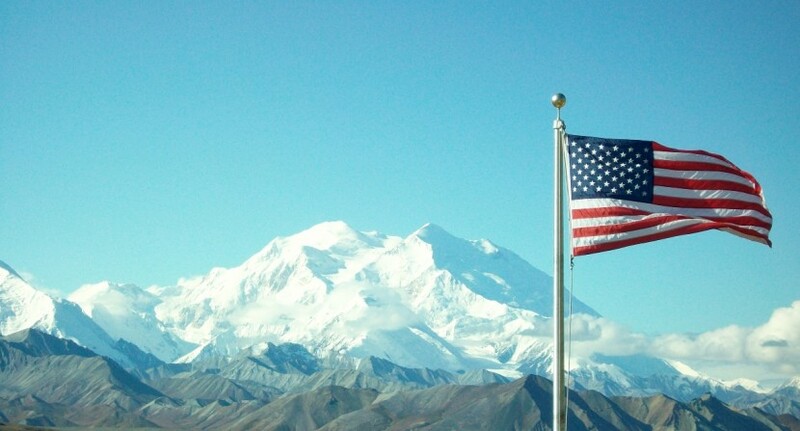 While in the Last Frontier, celebrate Fourth of July at one of our spectacular Princess Alaska Lodges! With one of our refreshing specialty cocktails in hand, you can enjoy what is being dubbed the “great Alaska heat wave of 2013,” or what Alaskans call perfect weather, with high temperatures in the 80s across most of the state. Many of Princess Alaska’s signature cocktails use high-quality spirits from the northernmost commercial distillery in America. Alaska Distillery is a small-batch distillery located in Wasilla, at the foot of the Alaska Range in Southcentral Alaska. Recently touted by Outside Magazine for its unique process and tasty product, Alaska Distillery harvests its own water directly from nearby glaciers to concoct its premium Permafrost Vodka. After staying up late to celebrate the 237th anniversary of the signing of the Declaration of Independence, what’s better than to awaken with a one-of-a-kind, only-in-Alaska Bloody Mary? At Princess we make a delectable version of this classic cocktail using Alaska Distillery’s signature Smoked Salmon vodka. Whether you start off or end the day with this drink, this Bloody Mary is one that is sure to be a pleasant surprise to the taste buds. One of our most requested cocktails this season is the Alaskan Wine Spritzer, a perfect option for summertime sipping. The star of this light refreshment is the strawberry rhubarb wine, made at the Alaska Bear Creek Winery. For some of us, though, when the mercury in the thermostat starts to rise, there’s nothing better than an ice-cold beer! Along with other Alaska craft brews available at all our lodges, you can enjoy a cold pint of Denali Red, brewed exclusively for Princess by Anchorage-based Glacier Brewhouse. So make sure your reservations are in place, and get ready to enjoy Independence Day with Princess in one of America’s most stunning destinations – Alaska.